embody the unique charm of Korea. 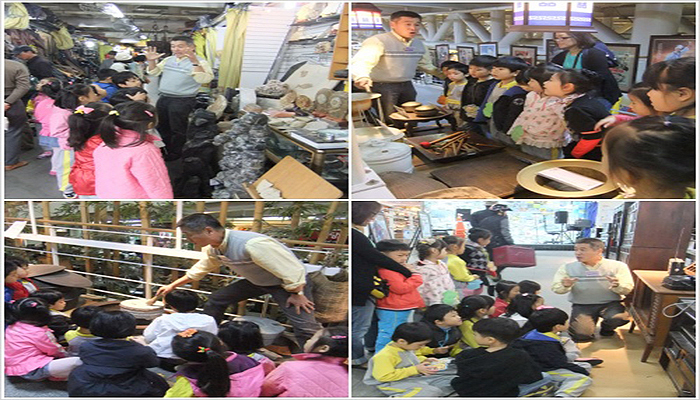 Folk items include everyday items, souvenirs, traditional goods and even traditional foods, allowing visitors to enjoy shopping and eating all under the same roof. 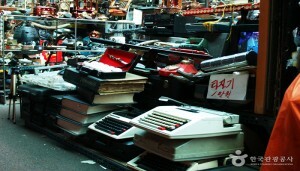 The Seoul Folk Flea Market originated from the flea market in Hwanghak-dong where many street shops and vendors gathered around the Cheonggyecheon Stream before it was restored and modernized into its current state. The market was relocated to the Dongdaemun History & Culture Park (Formerly Dongdaemun Stadium) while the Cheonggyecheon Stream was undergoing restorations, and was moved back to Cheonggyecheon Stream sometime later. Seoul City aims to market the Seoul Folk Flea Market as a new shopping spot at its current location, the former site of Sungin Women’s Middle School on Cheonggyeo 8-ga Street, near Cheonggyeocheon Stream to develop the Korean representative folk flea market related tourism industry. 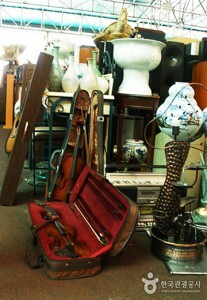 The main items of the Seoul Folk Flea Market include a diverse folk items, traditional crafts, local specialties and fashion items. You may also enjoy a range of food and snacks including traditional Korean food and fusion cuisine from all over the world. 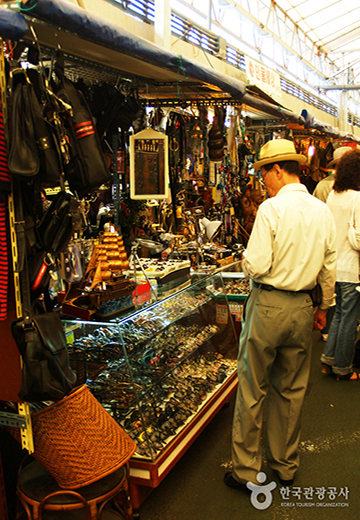 What is special about the market is that you can find rare goods and authentic traditional items that cannot be found at other markets. 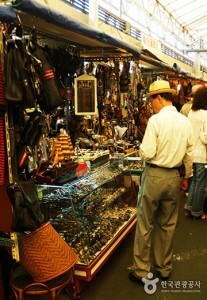 The market atmosphere is a mix of old, revered traditions and modern aspects, providing visitors with a great shopping experience. 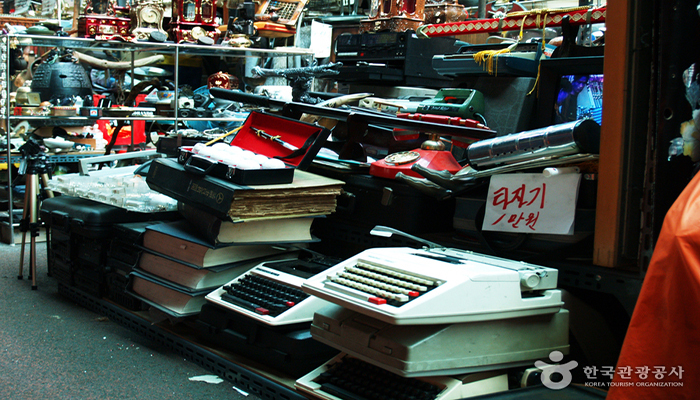 The Seoul Folk Flea Market is truly a traditional flea market well worth visiting.